So you've given up on whitelisting your page with Google ads and want to get that one page out of the way? After my adventures with Google telling me I was hosting adult content (again, this is actually my third go-round with them), I’m here to inform you that you can now block Google Ads on one page only. First you have to tell Google what your URLs are that you want to treat differently. 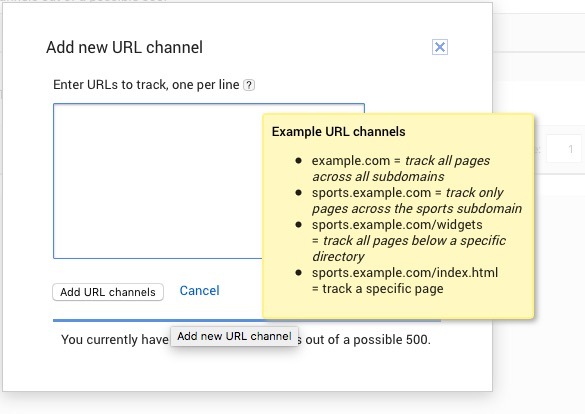 For that, we’ll use a URL channel which you can find at My Ads > Content > URL Channels. Now, you only get 500 of these, which means you can only flag 500 unique URLs as … well … unique. I’m using Auto Ads because I’m incurably lazy, as my friend Syed knows. So I go to My Ads > Auto Ads, but if you were using specific units, you’d go to My Ads > Ad Units. There you go to the Advanced URL Settings section and click on the add button for a new URL Group. This brings you to a page where you can select the URLs for this group. When you’ve picked all your URLs (and yes you can add more later), click next and you’ll get a list of all the possible ad units. Uncheck them all. That’s the point of this, right? Finally you’ll review the group and give it a name. I picked “No Ads” since that’s what this was. All in all, it’s another day with Google.